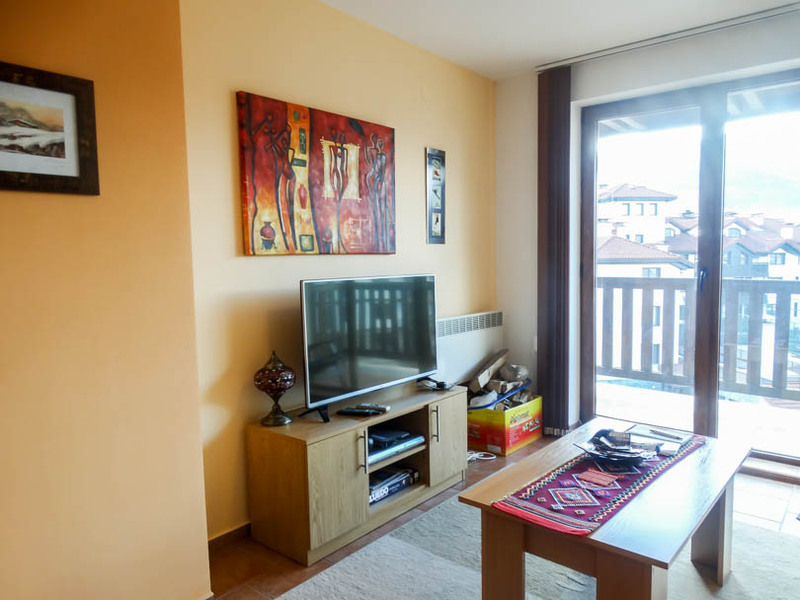 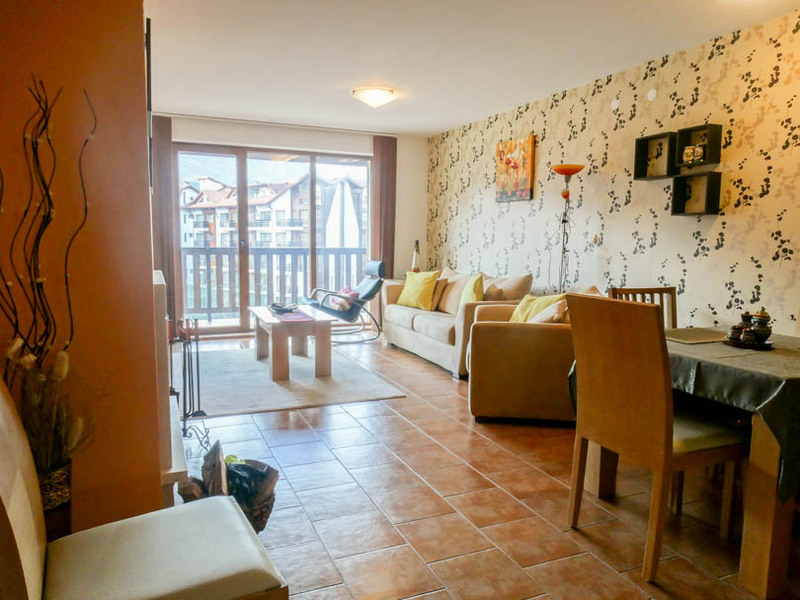 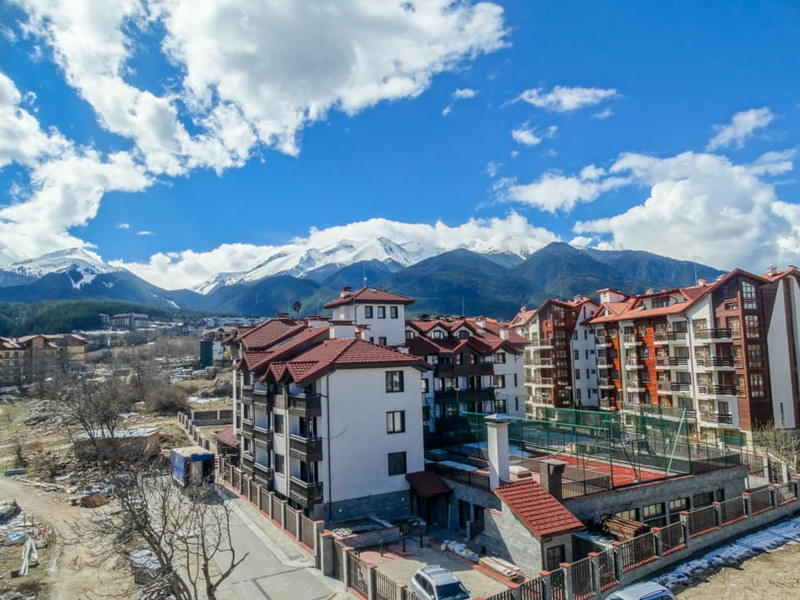 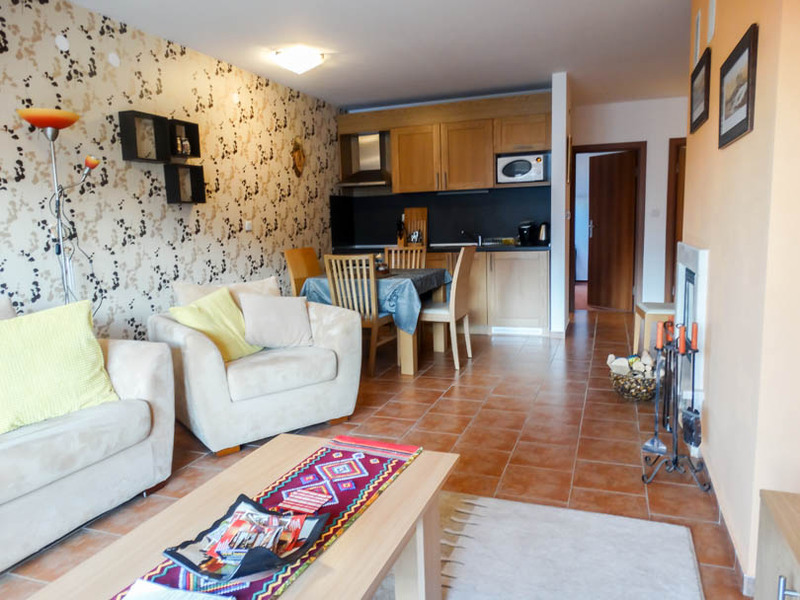 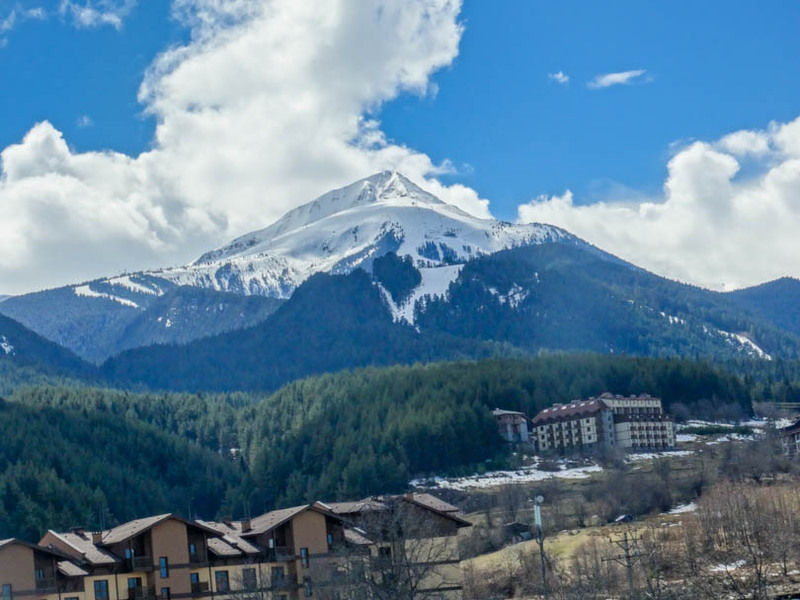 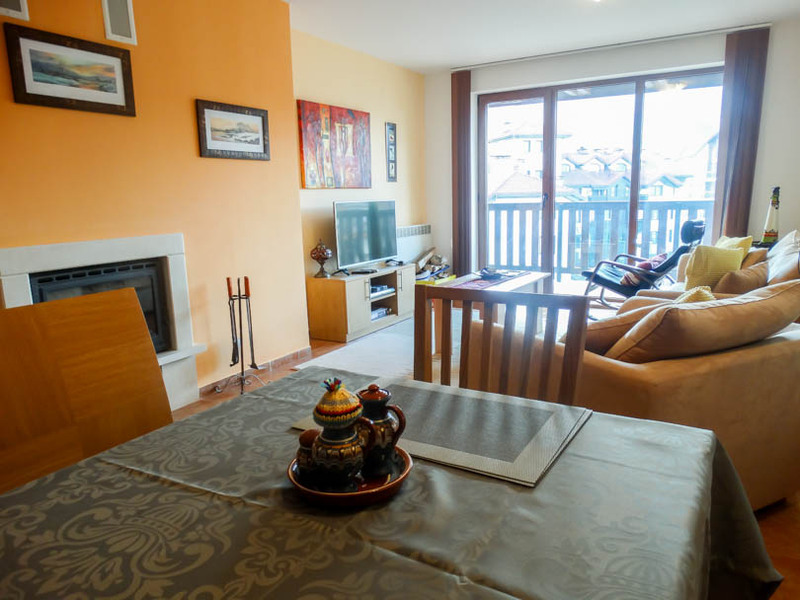 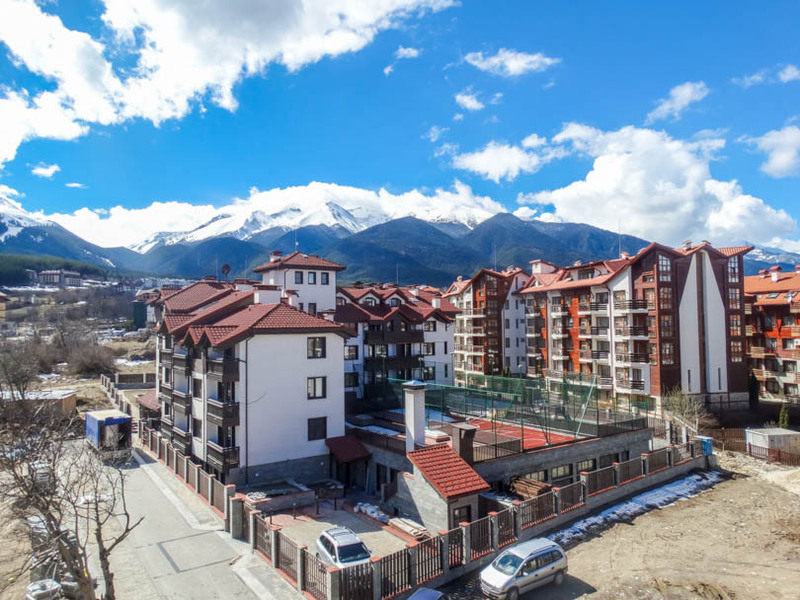 Viewing is highly recommended to appreciate fully this south facing 2 bedroom apartment with fantastic views of the ski slopes and Pirin mountain. 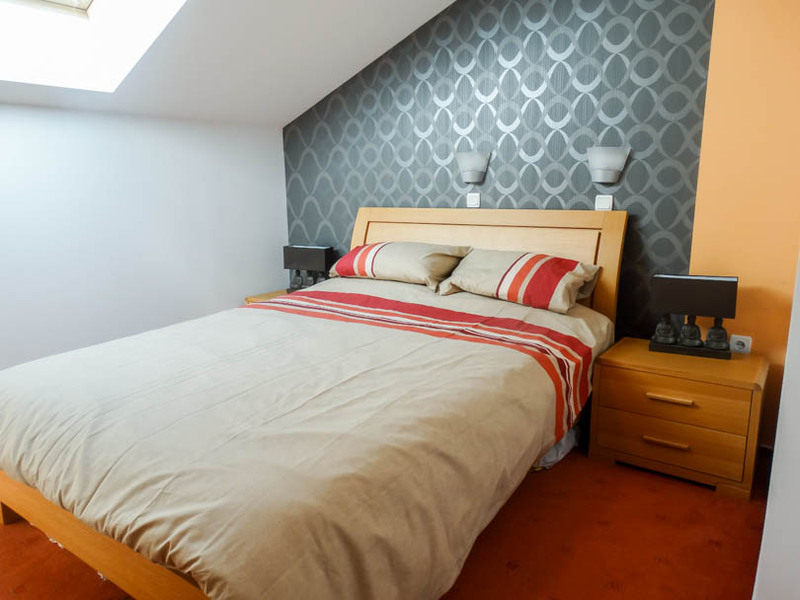 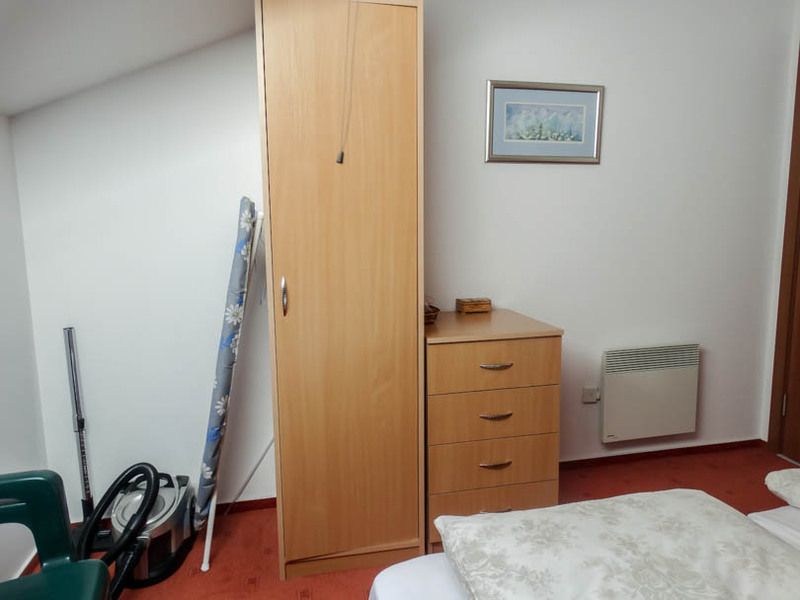 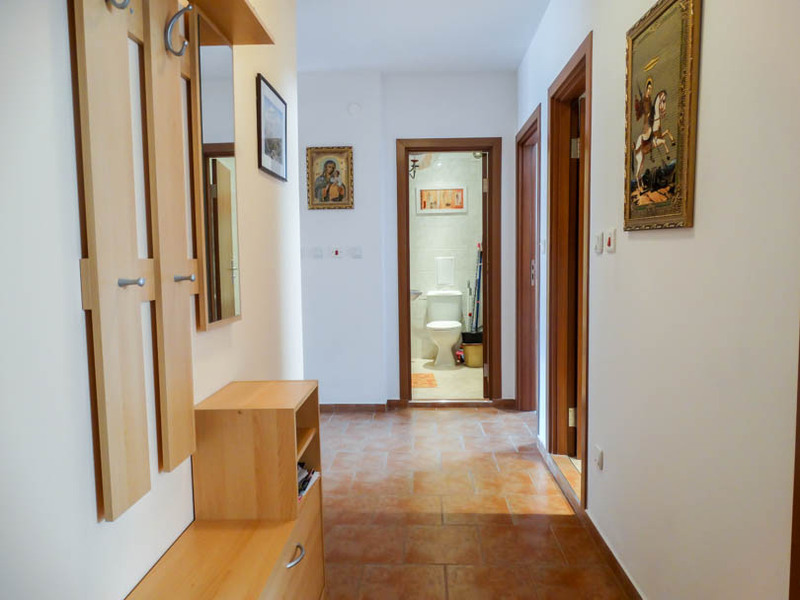 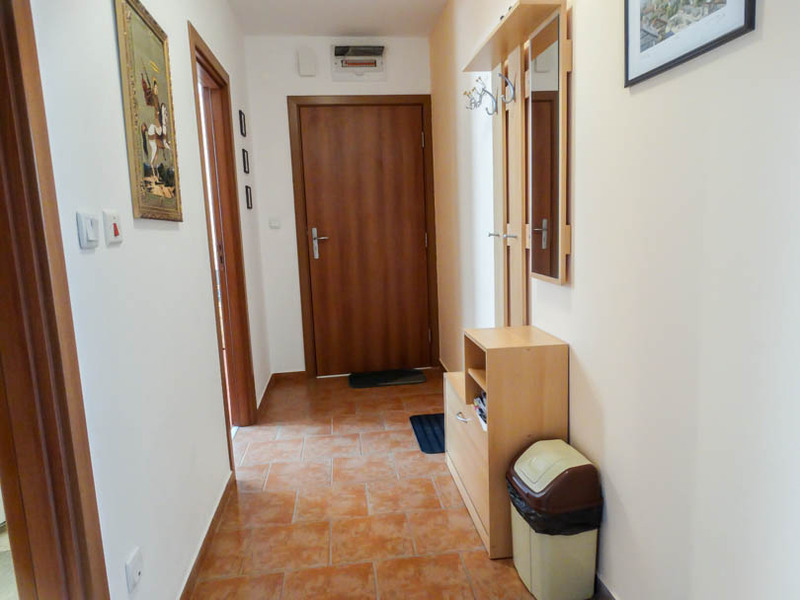 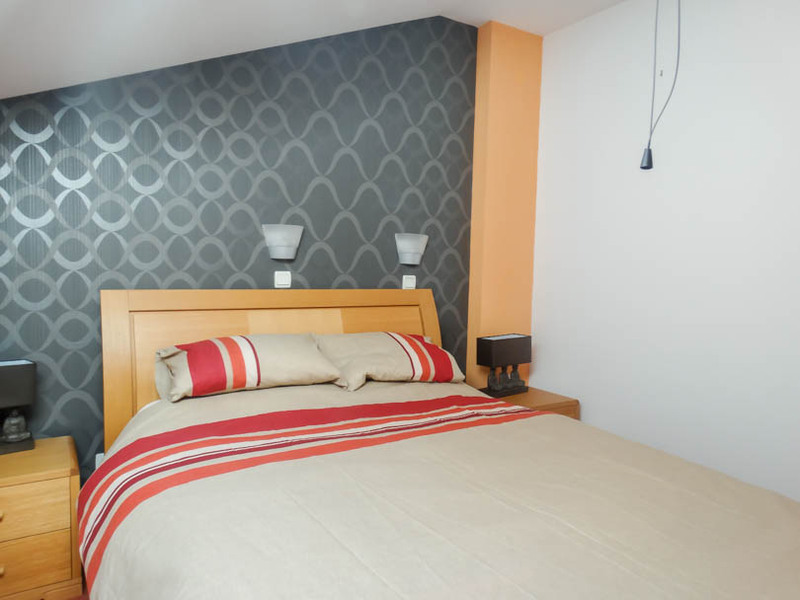 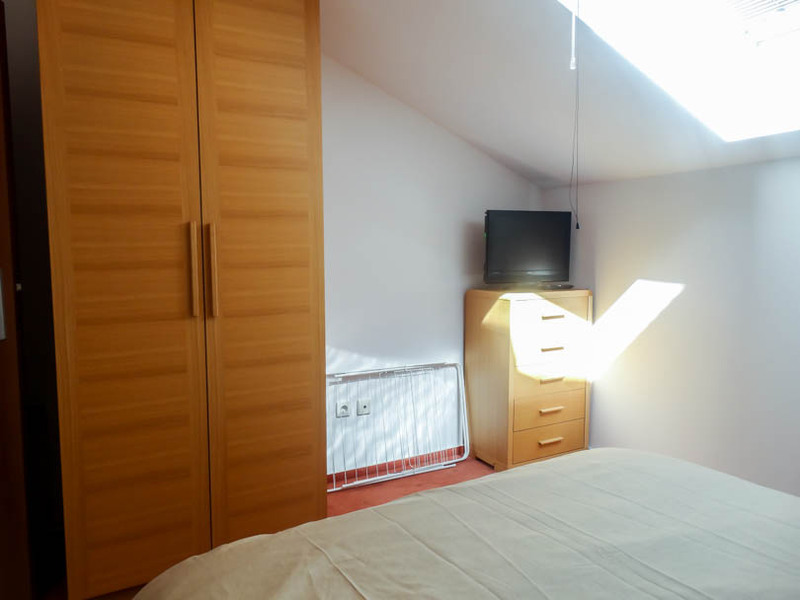 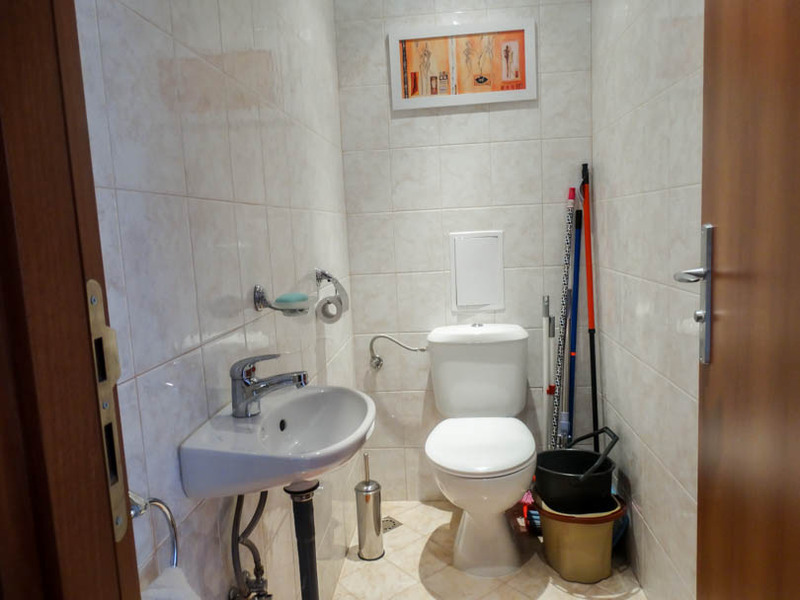 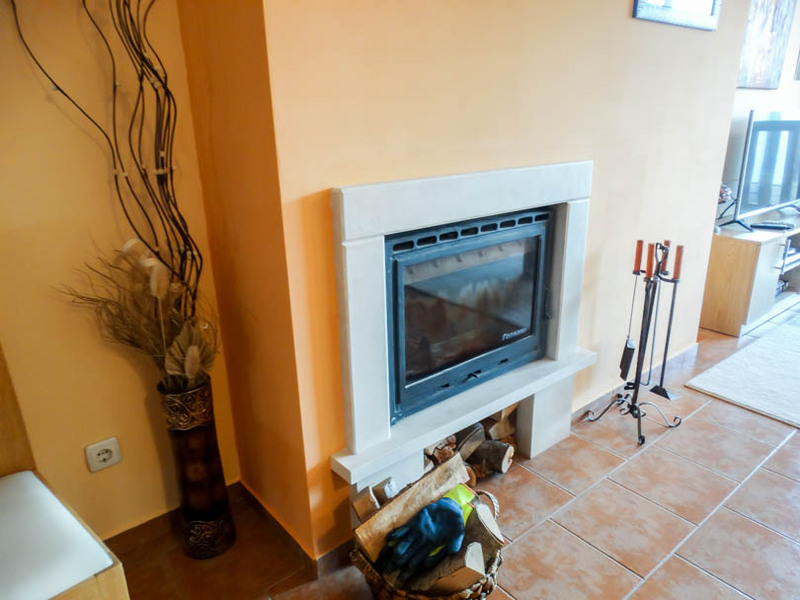 The apartment is furnished with high quality furniture throughout and is also nicely decorated.The 2 bedrooms have ample storage as does the entrance hallway. 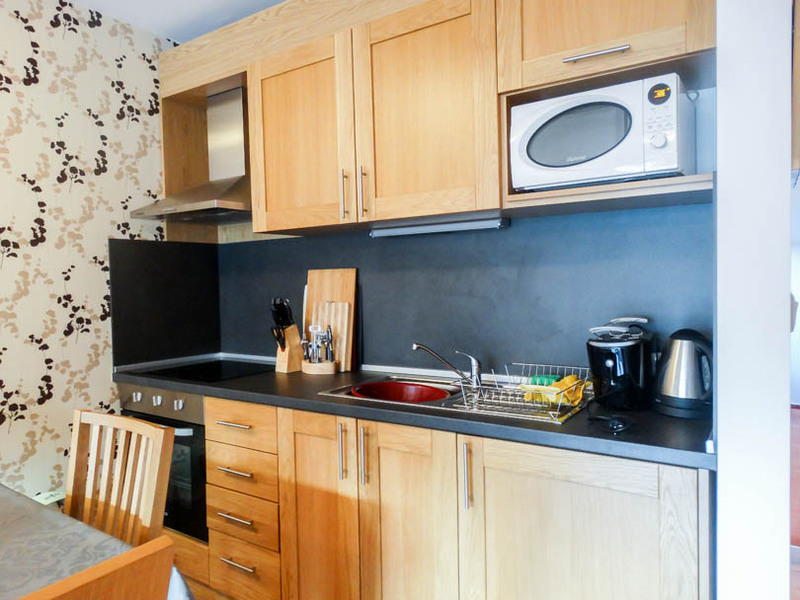 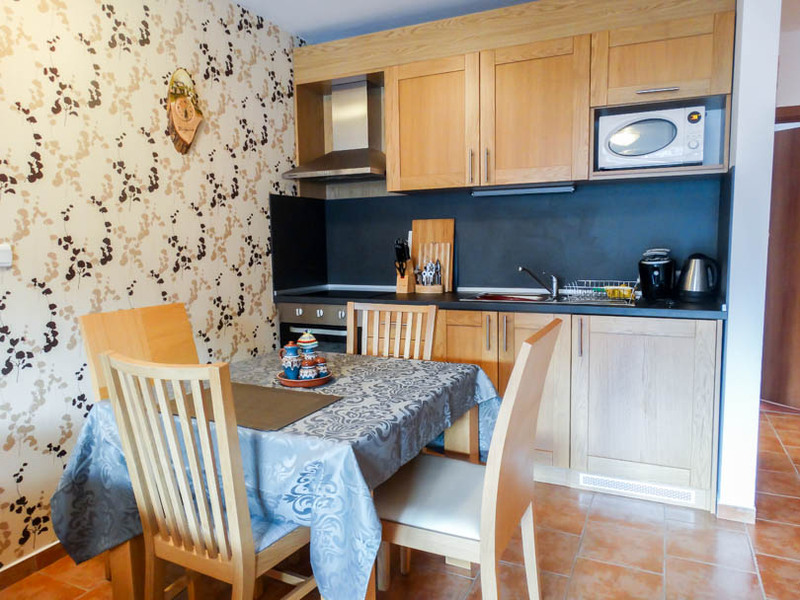 The kitchen is fully equipped and has matching dining table with 4 chairs. 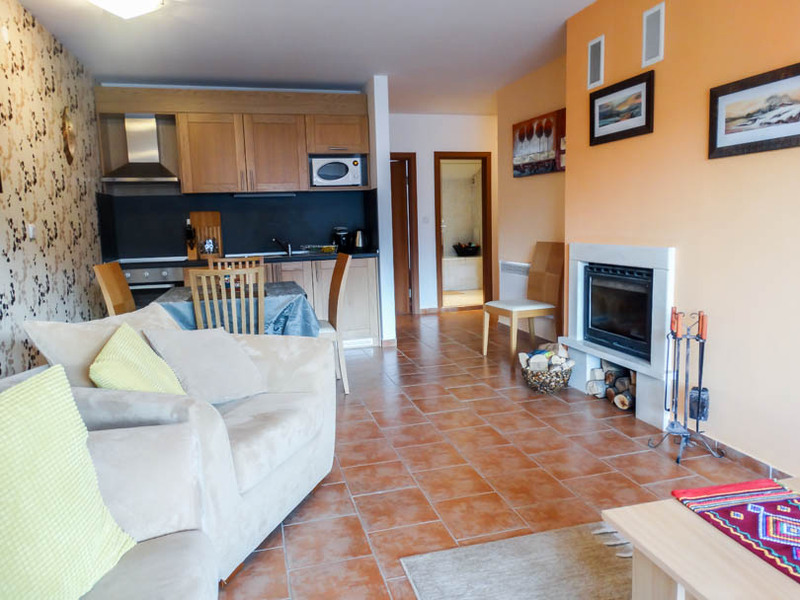 Lounge area has sofabed coffee table and again storage. 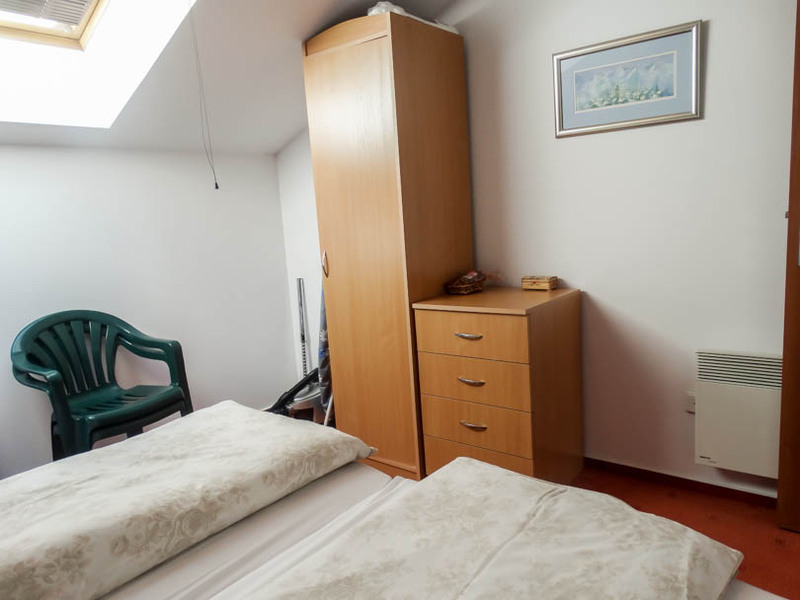 There is a flatscreen TV/DVD and satellite dish/receiver is installed. 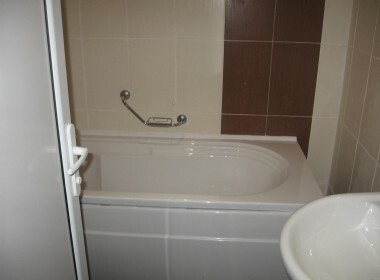 The main bathroom is equipped with a bathtub and shower and the smaller bathroom is generously proportioned (toilet and sink only). 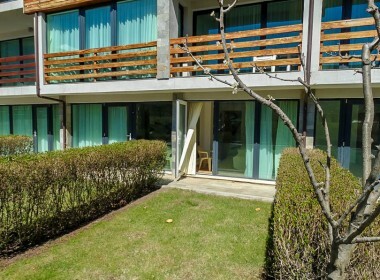 Through the main lockable patio doors is the south facing balcony which has unrestricted views. 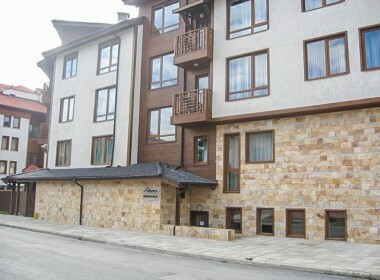 Maintenance is very low and includes Cable TV, Internet and water.